Compared to electric guitars, there are fewer bass guitar models out there, but that doesn’t make choosing a great one at a decent price easier. Not everyone has the cash for mid-to-high-end basses from Fender, Gibson, Rickenbacker or Washburn even if most everyone would like to own one. There are a few strategies you can employ to score a stellar bass without going into debt. For all of these methods, it’s important to set the maximum amount you’re willing to part with and work from there. The rule of thumb is to go for the best that your money can buy, so invest wisely! Check out the bass guitars in your budget range. Thanks to manufacturers adding lower-priced models to their bass guitar lineups, we now have a variety of basses across various price ranges. Check out the prime contenders in your budget range to see the available options and make a list. Read all you can about these guitars so you can assess which one would suit your needs best. Pick out your top three. Narrow down your list to two or three based on their pros and cons and what matters most to you. How a guitar looks, the brand, pickup configuration, body style, neck material – all of these would depend on your personal preference. Compare the bass guitars’ prices on different sites to see which seller offers the best deal. If the bass is being sold as part of a guitar package, check what’s included – do you need those are have them already? A bass guitar package is good for beginners who don’t have any gear yet. If you’ve got those items covered, search for the product listing that has just the bass. Additional components are just an extra, unnecessary cost if you have those already anyway. If you’re ordering online, factor in the cost of handling and delivery. Some models that ship from abroad may cost a bit more in terms of delivery, so verify the total cost of the basses you’re eyeing. Read forum posts and customer reviews. So how do you choose from what you already deem to be the best guitars in your budget range? You take a look at what other musicians are saying about their experience with the guitar. Browse through forum posts about the bass, read verified customer reviews (both positive and critical) and watch videos of the guitars in action and see how you like it. Take note of what others are saying about the guitar’s construction, sound quality and playability. Take your chance at factory refurbs. Refurbished guitars are those sent back to the manufacturer for repairs, usually to correct a cosmetic flaw, for parts replacement or to fix a structural issue. They are then sold to retailers and marked as “used” but they’re actually good as new. Factory refurbs are a great option for those looking for big brand-name basses at a lower price. Check the classifieds for secondhand guitars. If you want to go even lower and don’t mind owning a used guitar, you can check out online selling platforms such as eBay, Amazon and Craigslist and the classifieds section of music forums to see if the guitar you want is listed for sale secondhand. Pre-owned bass guitars cost less than their regular retail price but do be aware that there may be some issues you have to deal with and most probably spend on. Aside from the normal wear and tear, stuff like parts replacement and structural fixes would require you to let go of some cash. Do the math before you buy. 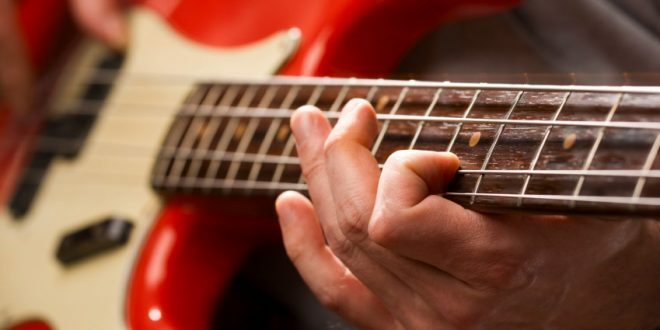 We hope those tips help you in finding an awesome bass guitar within your budget. Of course, it would also be a good idea to make some money-saving changes to your lifestyle so you’ll have more cash for your bass guitar, guitar accessories and any necessary repairs. Best of luck and let us know how your bass hunting goes!